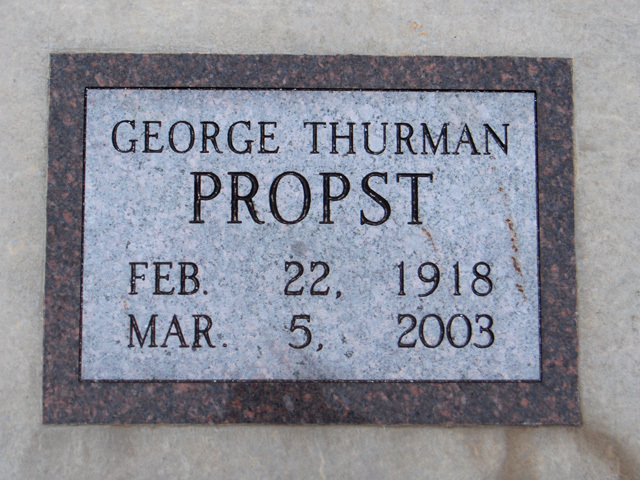 George Thurman Propst, 85, of Sikeston died Wednesday, March 5, 2003, at Clearview Nursing Home. He was born Feb. 22, 1918, in Sabula, Mo., son of Charles E. and Grace Pannebecker Propst. He and Jo Bollinger were married July 10, 1941. 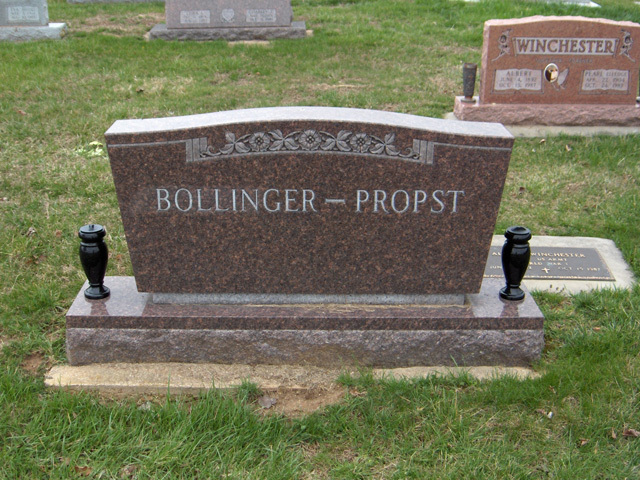 Propst was a graduate of the high school at Vanduser, Mo., and Southeast Missouri State University. He had been a principal and teacher in Bollinger County, and a public speaker and entertainer. He was formerly of Marble Hill, Mo. He was a member of Rural Letter Carriers Association and served as state chaplain. He was a member of First Baptist Church in Sikeston, where he had been a deacon and Sunday School teacher. Propst was a charter member of Marble Hill Optimist Club and served as lieutenant governor. Survivors include his wife; two sons, Terry Propst of Sikeston, Mitchell Propst of Cape Girardeau; two brothers, Edgar Propst of Farmington, Mo., George Pierson of Medford, Ore.; four grandsons; and four great-grandchildren. He was preceded in death by a son and two brothers. Friends may call at Liley Funeral Home in Marble Hill from 5 to 8 p.m. today. The funeral will be at 10:30 a.m. Friday at the funeral home, with the Revs. Fred Ritter and David Jackson officiating. Burial will be in Bollinger County Memorial Park Cemetery near Marble Hill.